Dokumentālo filmu fonds Sundance Institute piedāvā finansiālu atbalstu filmu veidotājiem. Filmu projektu iesniegšanas termiņš 9. februāris. Since its inception, the Fund has supported more than 500 films in 61 countries. The Fund reviews between 1,400 and 2,000 proposals annually, choosing 35-50 for support each year. In funding such work, the Documentary Fund encourages the diverse exchange of ideas that is crucial to fostering an open society, raising public consciousness about human rights abuses and restrictions of civil liberties, and fostering an ongoing dialogue about these and other pressing social issues. Research/Development: provided to projects that are between development and pre-production. 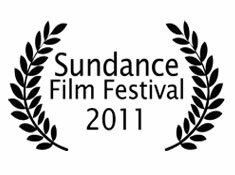 Production/Post production grants provide funds to filmmakers in various stages of the production and post production stages. Production/Postproduction: provide funds to filmmakers in various stages of the production and post-production stages. Your proposal should be in electronic format and ready to upload before you begin completing the online application. The upload is limited to .PDFs or Word-compatible documents. After reviewing the materials on the links below, you may contact dfp@sundance.org with any outstanding questions.